Caol Ila is one of the biggest Diageo’s malt distilleries with capacity of 6.5 million liters of spirit per annum. About 20 years ago Caol Ila single malt was not the easiest whisky to find, now is available in every whisky outlet with brand sales exceeding 600 000 bottles a year. 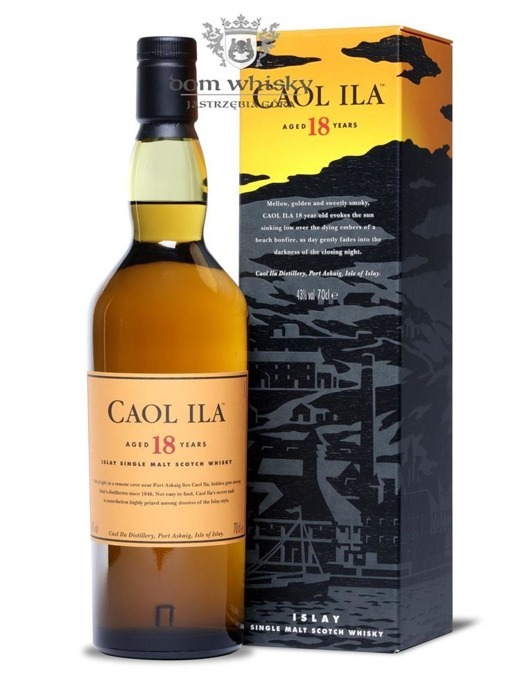 The turning point for Caol Ila came in 2002 with a release of 12 and 18 years old expressions. Due to growing demand and shortage of well-aged Caol Ila, the latter is now pretty hard to find. It is pretty mellow Islay whisky with typical peatiness softened by extended aging. Nose: subtle and fragrant, vanilla, licorice, bees’ wax, dried grass, peat, traces of peppermint and oak. Palate: smooth, creamy and nicely balanced, vanilla, butterscotch, crushed almonds, sweet cereals, grapefruit and delicate smoky and leafy notes. Finish: long and lingering, perfect balance of peat, citrus and oak.